On March 28, the 189 meter long, 15787 dwt self-unloader bulk carrier Mississagi sustained damage in Whitefish Bay, Lake Superior. 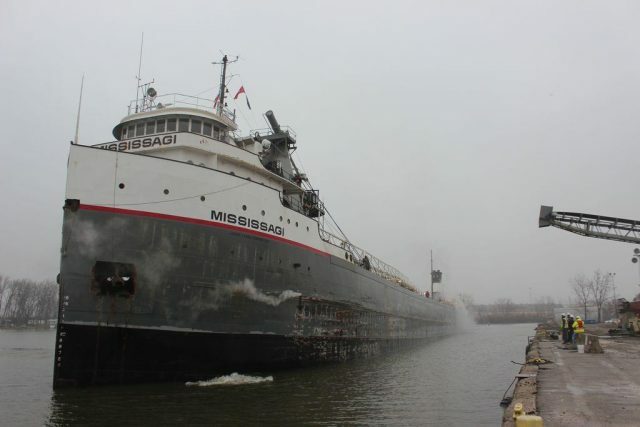 The Mississagi was proceeding towards the Soo Locks when it struck ice and tore a hole in the vessel’s bow. The crew was able to make temporary a patch and the vessel continued on its voyage to Monroe for repairs. No reports of injuries or pollution released. The Mississagi was en route in ballast to Toledo for a cargo of coal.